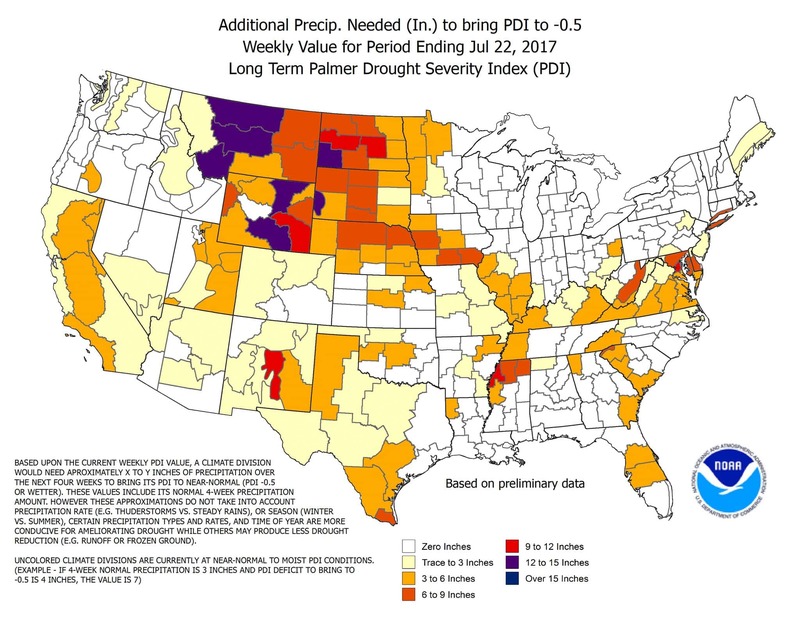 It may take considerable time for the region to snap out of a lengthy summer drought. According to the National Weather Service, south central Iowa needs six-to-nine inches of rain over a four-week period to break up the dry conditions. Most local counties, including Marion, are listed under moderate drought, with areas of Lucas County seeing severe drought conditions. Stay tuned to KNIA/KRLS and visit kniakrls.com for the latest weather information.